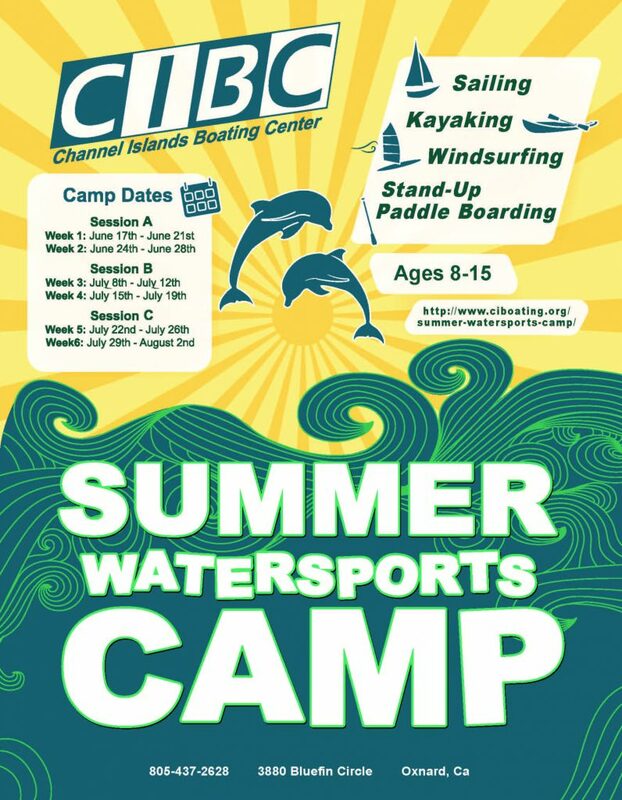 The CIBC Watersports Camp takes full advantage of all the amenities of the beautiful Channel Islands Harbor. The camp offers courses for all skill levels for youth aged 9-15 where campers will find fun, excitement, and a challenge on and off the water. With a safety first attitude, professional and certified student instructors allow all campers the opportunity to learn in an enjoyable and safe environment. Whether the activity is windsurfing, kayaking, sailing or stand-up paddle boarding, the camp is intended to teach skills necessary for handling and maneuvering these vessels safely while teaching proper etiquette and seamanship that is useful in all types of boating. Campers can select one specialized instructional activity for one-week activities (kayaking) or two-week activities (sailing or windsurfing/stand-up paddle boarding). Each day is filled with hands-on instruction, water and land-based games, water safety, and environmental education. Campers will visit the Oxnard Marine Center, hear from scientist from the National Oceanic Atmospheric Administration (NOAA), and hear from researchers from the Santa Rosa Island Research Station. Camp dates are June 17, 2019 - August 2, 2019.